United Kingdom | October 11, 2018– Aircraft cabin lighting specialist, STG Aerospace, is delighted to announce that as part of its CSR programme it has chosen Orbis to be its official company charity. Orbis changes the way the world sees by preventing and treating avoidable blindness and visual impairment. They train and mentor local eye care teams, educate communities, and partner with hospitals, NGOs and governments to save sight and transform lives around the world. London | April 4, 2018–Passenger Experience Week that comprises of: Passenger Experience Conference, Aircraft Interiors Expo, World Travel Catering & Onboard Services Expo and Passenger Technology Solutions which takes place from 9th-12th April in Hamburg, Germany has today announced eye health organisation Orbis, which operates the unique Flying Eye Hospital, as its charity partner. The international charity provides communities across Africa, Asia and Latin America with access to high-quality eye care, fighting avoidable blindness and restoring vision for those who need it most. This is undertaken through the support of their Flying Eye Hospital, the world’s only accredited ophthalmic hospital onboard an M.D.-10 aircraft. The aircraft, which features a classroom at the front of the plane, also has an operating theatre, pre and post-op spaces and a laser eye suite. Flying Eye Hospital programmes take place in partnership with local hospitals, transferring skills into the facilities so that eye-care teams can help more people struggling with avoidable vision loss within their communities. The partnership with Passenger Experience Week will provide Orbis with a platform to fundraise and promote its inspiring work to the thousands of attendees and hundreds of exhibiting companies that are present at the show each year. To learn more about Orbis and its work, attendees can visit their stand located in hall B2U03 in AIX. On the stand, Orbis staff will offer attendees a virtual tour of their M.D.-10 aircraft. Rebecca Cronin, CEO of Orbis UK comments: “We are immensely grateful to Passenger Experience Week for choosing Orbis to as its charity partner. The event presents an amazing opportunity to engage with attendees at the show and to share the story of how the aviation and medical world has come together to make a real difference to people’s lives. Commenting on the partnership, Exhibition Director of Aircraft Interiors Expo, Polly Magraw comments: “We have long been looking for the perfect charity partner for Aircraft Interiors Expo, and we are delighted that we have been able to partner with such an inspiring charity as Orbis. There are 253 million people in the world who are blind or visually impaired yet 75% suffer from conditions that are avoidable. What’s more 89% of people struggling with vision loss live within low and middle-income countries, where access to eye-care is limited. One company that seems to be a bit quieter about their connectivity solutions is Honeywell but that’s about to change. Last week, they sent out a release about their recent certification from the FAA for their inflight product, JetWave and their STC on a Boeing B757. 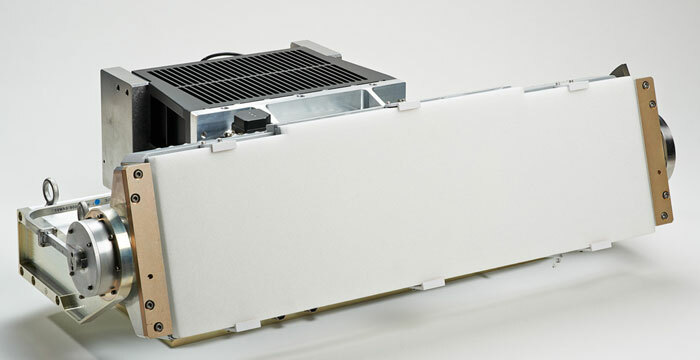 Significant is their exclusive connectivity hardware for Inmarsat Global Express, high speed, Ka-Band inflight connectivity service. At higher frequencies like Ka Band (26.5 – 40 GHz), operators can generally obtain more user bandwidth but a lot depends on antenna size & efficiency, users in the space, horizon height, weather, and more. But we digress. Part of the attraction of JetWave is bandwidth as we just mentioned, but global coverage is another feature and we asked about that feature as well. Finally, we do believe, that the price per downloaded bit will be cheaper than those of lower transmit/receive frequencies… but that remains to be announced by Honeywell or airlines. Stay tuned on this one. If JetBlue’s solution with Thales & ViaSat is any indication, it ought to get interesting and potentially cheaper per bit. 1. IFExpress: How long has this product been in development (antenna) and what new antenna technologies are included? 2. IFExpress: We know you make the antenna, but our readers would be interested in understanding if the Ka Band Amplifier/transmitter/receiver is part of the product line too and is it new? 3. IFExpress: What is the expected average user data rate (X Mbps)? 4. IFExpress: Besides the test plane, is the unit installed on any other aircraft? · Honeywell’s Dassault Falcon 900 test aircraft has installed JetWave for flight testing. 5. IFExpress: Is Honeywell willing to talk price? 6. IFExpress: As you might know, Gogo had a very successful Press demo of their Ku Band system, are you folks going to do the same? 7. Can you talk a bit about the potentially lower data rate costs to consumers? 8. IFExpress: We assume the coverage is worldwide? 9. IFExpress: Have you tested the Ka system in weather and what did you find? 10. Is the Ka service available over the US today? 11. IFExpress: Any customers bought/interested/US and/or overseas? Singapore Airlines has selected JetWave and GX Aviation system for their B777-300ER aircraft, followed by its A380-800s. 12. IFExpress: What is the biggest market you see for the products? 13. IFExpress: What are some good weblinks for our readers to get more on your products? 1. Global Xpress is the only global Ka-band network designed around the requirements of mobile assets, including aircraft. 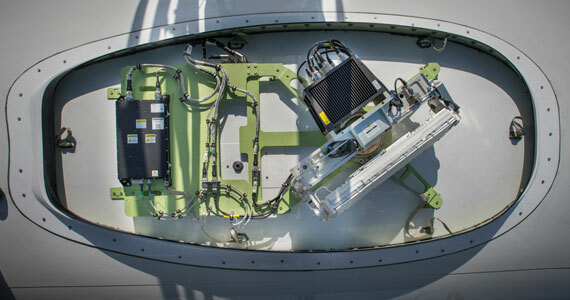 It has the ability to keep aircraft connected over land and water and throughout all phases of flight. 2. 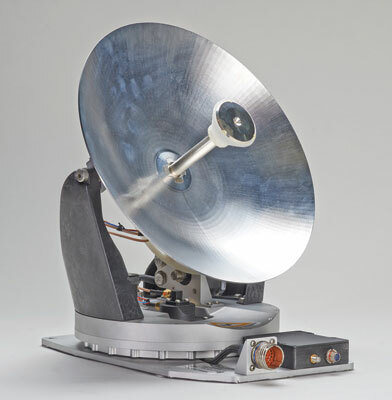 Inmarsat Global Xpress is the first high-speed broadband network to span the world. B) iPass Inc., a leading provider of global mobile connectivity, announced an agreement with Panasonic Avionics Corporation (Panasonic) to bring inflight Internet access to iPass customers on 23 international airlines. Under terms of the agreement, iPass, which provides convenient, secure, always-on Wi-Fi connectivity on any mobile device, will be available on more than 747 Panasonic-equipped aircraft that fly more than 32,000 routes monthly. “We are dedicated to giving our customers a frictionless Internet experience,” said David Bruner, Vice President of Global Communications Services at Panasonic Avionics. “Our partnership with iPass brings convenient access to Wi-Fi connectivity to our customers through a single service, helping them stay connected. E) Lastly, congratulations to Thomas Lee of Zodiac Aerospace who is now Vice President – Product Marketing – Zodiac Cabin. London, UK | December 13, 2013– As the holiday season approaches and we get into the spirit of giving back, IFP has made a companywide donation to ORBIS International, a non-profit organization that works in developing countries to save sight. IFP, the content services division of Advanced Inflight Alliance AG, has a long-standing relationship with ORBIS to support the organization’s mission. “The aviation sector is a firm supporter of the sight-saving work of ORBIS and its Flying Eye Hospital, and with the next generation ‘hospital with wings’ launching next year this support is as gratefully received as ever,” continued Branchu. Chatsworth, California | March 13, 2012– Structural Integrity Engineering (SIE) has entered into an agreement with ORBIS, a non-profit humanitarian organization dedicated to saving sight worldwide, to provide engineering design and certification services for ORBIS’s next generation Flying Eye Hospital (FEH) based on an MD-10-30 aircraft generously donated by the FedEx Corporation. The next generation ORBIS MD-10-30 FEH, the world’s only ophthalmic surgical and training hospital with wings, will bring many advantages to the fight against preventable blindness. SIE will act as the engineering integrator, providing program management and supplier interface management, modification engineering and certification, and FAA STC certification. The work scope includes supply chain coordination with Mobile Medical International Corporation (MMIC), the mobile medical facilities provider, as well as numerous other cabin equipment suppliers. December 6, 2010 — Following the success of the APEX partnership with ORBIS in 2010, Inflight Productions, Atlas, DTI and Fairdeal are delighted to also be supporting ORBIS in the UK. By replacing the traditional Seasonal Greetings card with an e-card, the group has donated the savings to ORBIS in support of the life-transforming work the charity carries out saving sight worldwide. Following this donation IFP London staff received a visit from Karen Jaques, ORBIS EMA and Heather Machin, Director of Nursing for the Flying Eye Hospital. Heather spends 42 weeks of the year travelling with the Flying Eye Hospital team and explained in detail the unique work that ORBIS does from surgery and training, to hospital based teaching programmes and community outreach work.